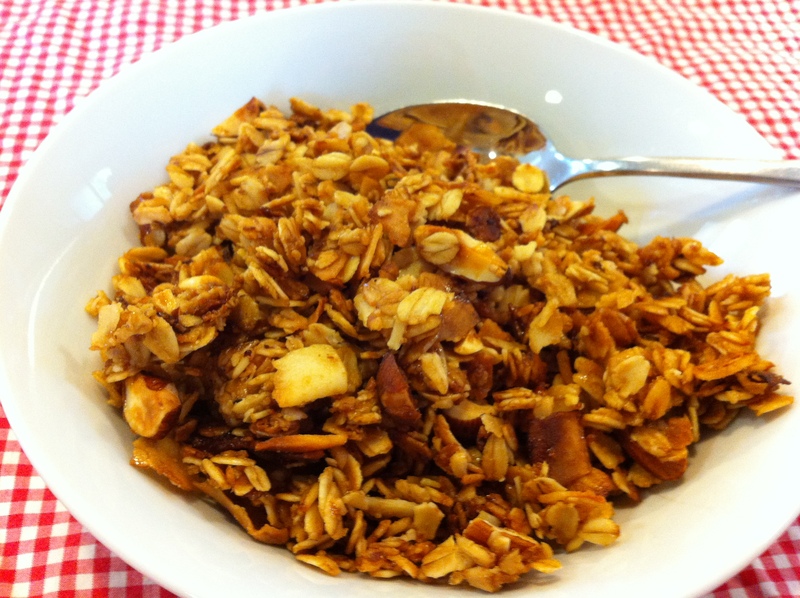 Soaked granola is just as easy to make as plain old granola. The only additional step is waiting during the soaking period. You can follow the same recipe without soaking. Just omit the whey or lemon juice and skip the soaking time. This is a pretty basic recipe. 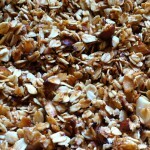 Try experimenting with the addition of dried fruit or chocolate chips after the granola is baked, or add other nuts, seeds, or flaked grains before you bake it. 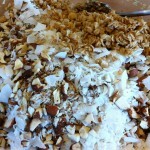 Mix together the oats, coconut oil, honey and whey. Let the mixture soak, covered, for 24 hours at room temperature. Preheat oven to 350 degrees. 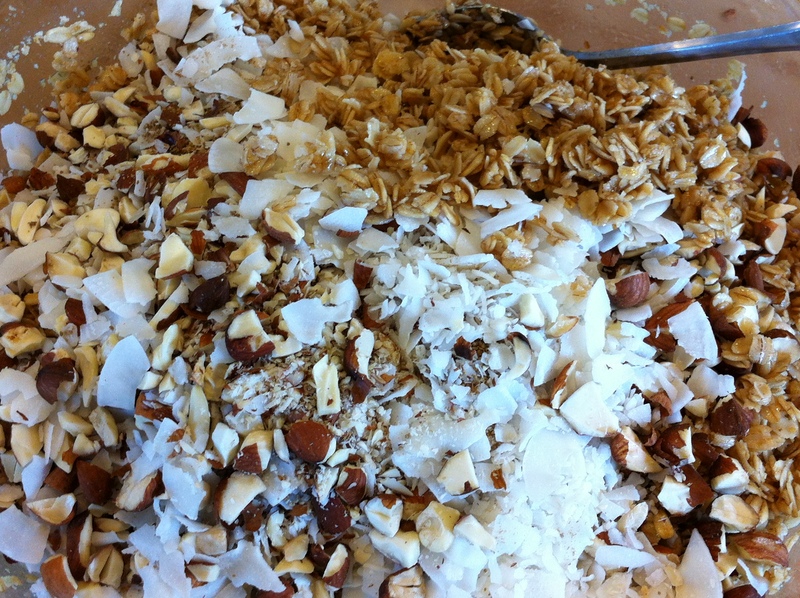 Add all the other ingredients to the oat mixture and stir to combine. Butter two jelly roll pans or glass 9″ x 13″ pans, or line them with parchment paper. Spread half of the mixture evenly in the bottom of each pan. Put them in the preheated oven at 350 degrees. 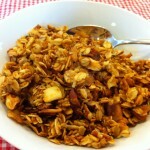 After about five minutes, or when the granola is just slightly golden on the top, stir it in the pan. Then spread it out again and bake for another five minutes. 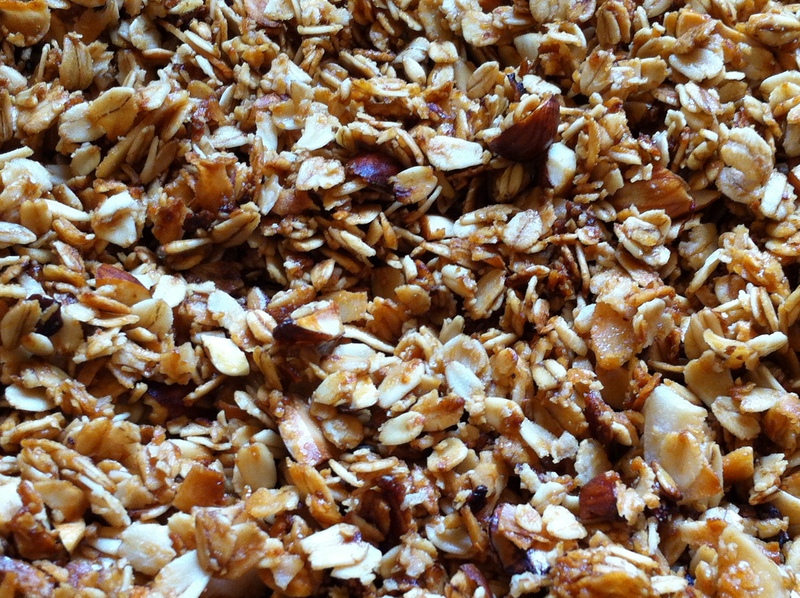 Stir it every five minutes until the granola is evenly golden. It will become crisp as it cools. 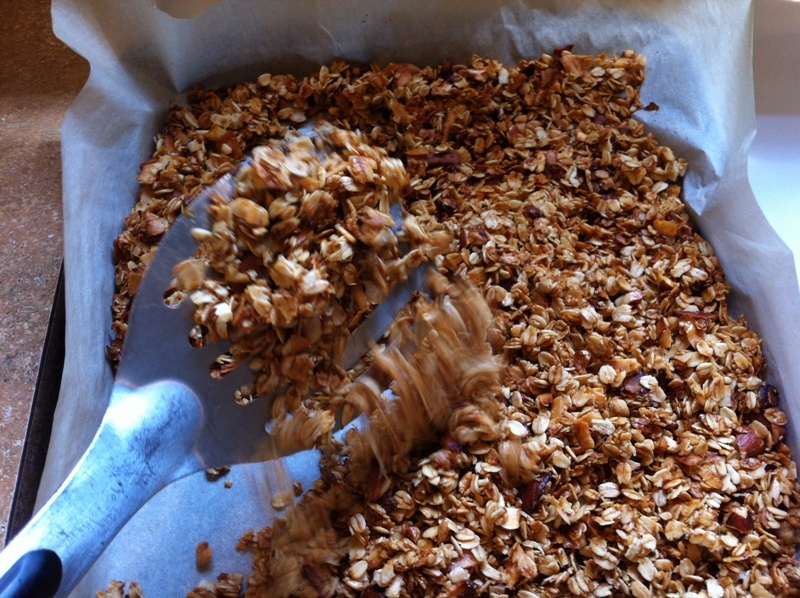 Let the granola cool before serving. Store in an airtight container at room temperature and serve it with milk, dried fruit, yogurt, or creatively.